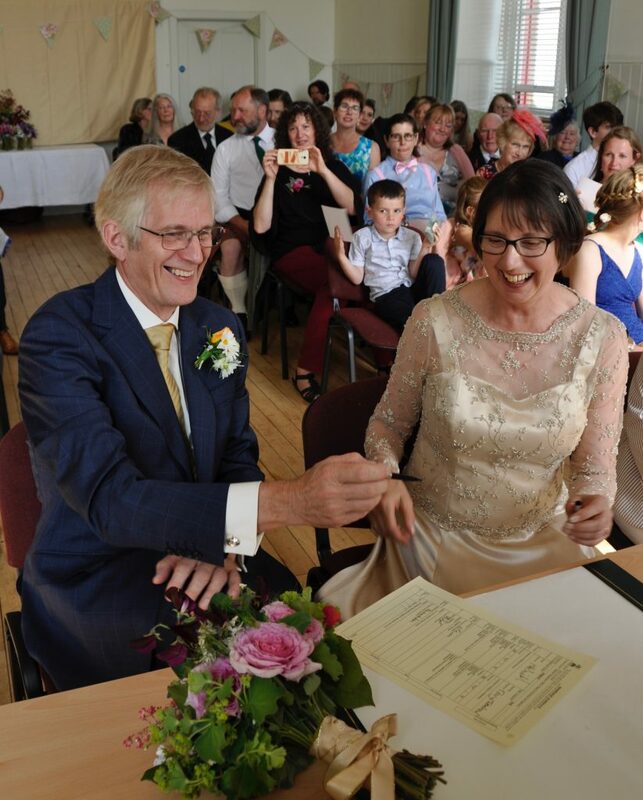 Mary picked stunning beaded lace and a heavy gold silk satin was the fabric Mary chose for her bespoke wedding dress. and not least, the bride wanted to feel fabulous. We manage to cover all requirements. We constructed Mary’s dress in gold heavy slinky silk Satin from James Hare Silks, with beaded lace overlay on the bodice part. Attaching silk buttons and loops all the way down the back of the dress, made for an exclusive detail. Mary chose the lovely beaded lace details to finish the neckline, as well as on the bodice and sleeve hem. Working in this lovely slippy silk and was a delight. The beaded lace demands a lot of work by hand where we cut the edges out and piece them together before adding them by hand and securing the beads. This is proper couture lacework. 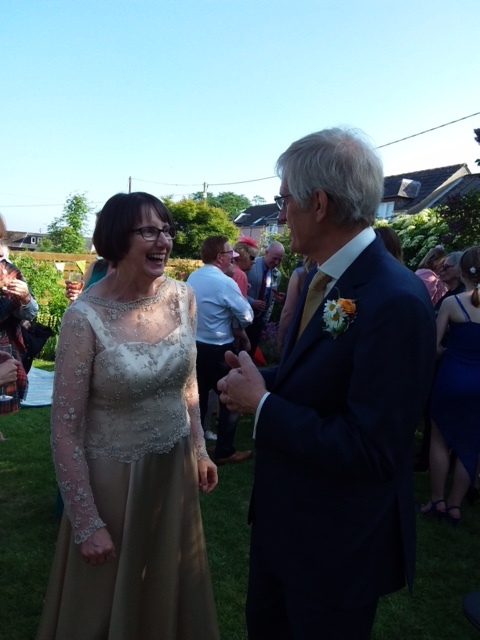 The wedding was going to be a relaxed happy affair in the couple’s garden. 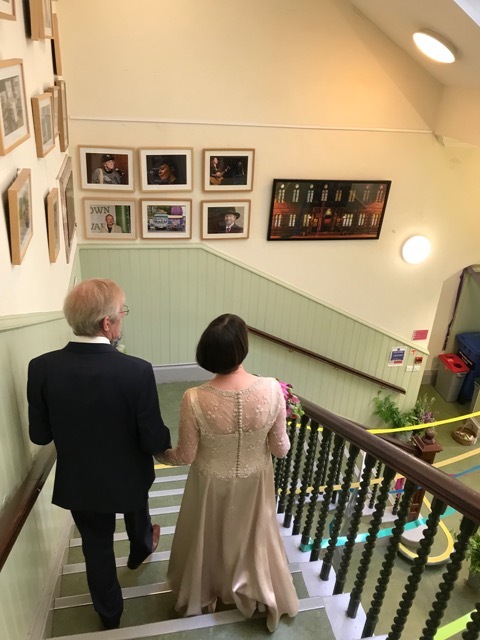 The lead up to the wedding was so hectic because major renovations had been undertaken in the house, and they were, therefore, keen to show it all off to friends and family at the wedding. 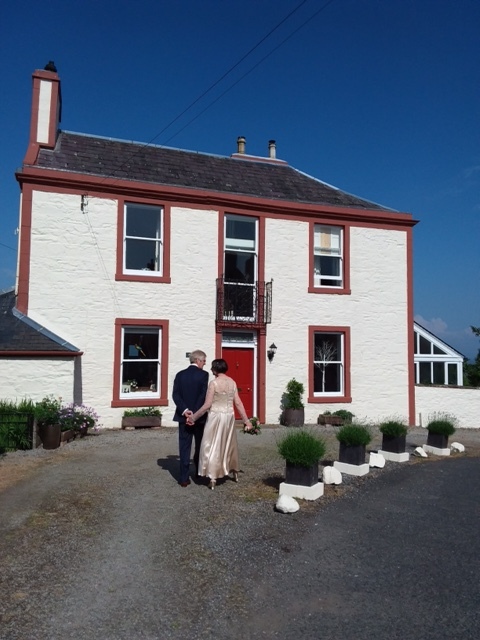 All their family and friends turned up to celebrate the happy couple in the sun.